Thanks to Brian Hartley for putting together a list of suggested guidelines to help our race directors with medical emergencies. Although we hope to never have occasion to use these procedures, it is a living document that is subject to change. We have already had two edits. Check out the draft linked from the policies page of our website. On June 21, the DSE teamed up with Brazen Racing to carry on Walt’s tradition and put on the 45th Annual Double Dipsea. Over 700 runners and hikers completed this year’s race, and I was among them. This was my first time running this race, and it did not disappoint. It was the most difficult race I’ve ever run, but also the most rewarding. What truly made this race special for me was all the smiling DSE faces I saw along the course, both as participants offering each other encouragement and support, as well as the amazing volunteers at every aid station. I can’t express enough thanks for the camaraderie and support I experienced on this course. As I was nearing mile 3, I tripped and face planted on the trail — something that has never happened to me on any run before. I was already worried about finishing this race within the cut-off, and that was the last thing I needed. The gentleman behind me did not skip a beat in offering me his hand, helping me up, and making sure I was ok. I was covered in dirt and wanted to cry, but a quick assessment told me nothing was broken so I pressed on. The scrapes on my knee stung and when I stopped to check on it, another fellow runner offered me a wet wipe to clean it off. When I made it to the turn around within minutes of the cut- off, I found renewed energy and spirits. With a spring in my step, I set forth to tackle the second half and to my surprise I began to pass people. I was sure to encourage each one of them and that made the time fly. I heard of other random acts of kindness from DSE members, such as Tony Nguyen giving his hydration pack to a fellow runner who needed it more than him, ensuring he was able finish the race safely. Thanks to Brazen Racing ,who did an amazing job carrying on the legacy of this race, and to every DSE member who contributed to making this year’s race a success! Visit the Race Results page to see this year’s Double Dipsea results. June is the halfway point for 2014, time to start planning for the 2015 Race Schedule, Volunteer Appreciation Picnic and the Gala. Please, step forward and be part of these committees. The club can only remain strong if we all pull together. I know this is a repeat request for volunteers for the Double Dipsea. Brazen Racing is directing the race. However, the DSE logo is still present. That’s why I am quoting Janet Nissenson, from her article in the May newsletter, “One of the ways that DSE will continue to be involved with the race is through our volunteer support. Many of our volunteers have been helping at this race for a long time, and we will continue to rely on your expertise and experience to put on a safe and successful race.” Keep DSE a part of this race by going to http://www.brazenracing.com/doubledipsearegistration.html and signing up to volunteer. We need your support. Race Director Changes: To clarify the race director changes, Jim Kauffold will write an article for the newsletter and for insertion in the website. See Race Director page for details. Changes to Folding Sessions: This topic was tabled for a General Meeting, which is planned for July or August. EMS update: Brian has completed an EMS procedural guide for race directors. George will reformat the guide for Brian’s review. The CPR/first aid scheduling is moving forward. We plan to have our first CPR/first Aid training sessions in the next few months. New Volunteer Point System to take effect January 1, 2015: The new volunteer point system will be described in the October/December newsletter. Posting of Volunteer Requirements for Gala: An article on the volunteer requirements for Gala awards will be written for the newsletter. This is to encourage more members to understand and meet the volunteer requirements. Race Schedule Committee: We need to start looking for a new Race Schedule Committee Chair. Janet has done a great job, but we can’t expect her to do this job forever. George asked the Board members to be part of the committee. We encourage all club members to also be part of this important endeavor. Without a race schedule the club has no meaning to exist. Vendors may provide products to be included with other race day refreshments. The DSE does not sanction the presence of vendors at DSE races. We were second out of 15 running clubs for the A-List Bay Area Running Club. WOW was first, but we are an open club to everyone. Our membership is $25 per year and it includes 40+ races per year. I feel we still have the best running club for the price. We are working with Brian Hartley regarding a CPR/first aid class in order that we may be ready for any medical emergency during our DSE races. We will be scheduling a class either at a folding session or at the Sports Basement. The class should be about one hour and we will let you know when it is scheduled. 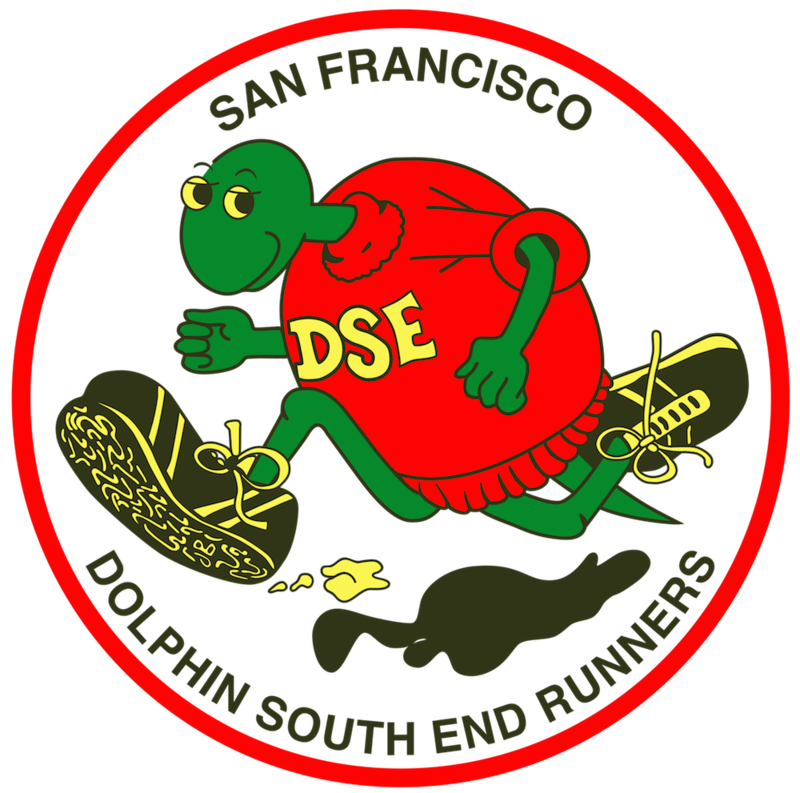 The DSE board approved funding for the four DSE running teams in the Relays. We had a meeting on March 9 at Sports Basement to discuss the open and masters B teams. We will have a total of four teams competing on May 3 and 4. If you would like to see the location of the race as it is in progress, go to the website therelay.com. If you would like to help with the donations for Organs R Us, the sponsor, Ken Fong set up a site at http://www.crowdrise.com/therelay2014. The contract between Brazen Racing and DSE for the Double Dipsea has been signed. We are waiting for the permits. We are trying to get Saturday, June 21 as the date of the DD. Once the official date is chosen, it will be announced. There will be a Special Olympics Track and Field meet at Kezar Stadium on Friday May 9, 2014. If you would like to volunteer, show up at 8:45 AM at Kezar Stadium. The meet will be from 10:30 AM to 1:00 PM. George Sacco will be attending the meet. For more information, contact Ken Reed at runkenrun@aol.com. Change in volunteer requirements (to a point system): To minimize the current confusion regarding volunteer requirements for awards, we are changing the current system from hours to points. The new system will be posted on the website and in future newsletters. Race Director (RD), refreshments and age division points: RDs should make arrangements to provide refreshments for their race. They will be awarded 12 age division points up to three times per year. If there are two RDs for the same race, they will split the 12 points evenly — six points for each RD. Change of pre-race announcements: It was suggested that we update our pre-race announcements regarding running with headphones, dogs and/or strollers to be in line with the RRCA policy on this matter. A suggested announcement was drafted to be tested in future races. Budget Policy: A new budget policy was approved as follows: An itemized written budget proposal should be submitted in advance for approval by the Board at least 90 days prior to an event. This policy will take effect in 2015. We ﬁnished the General Membership Meeting and I was conﬁrmed as the 2014 DSE President. I know that I ran unopposed, but I still thank you for electing me. The new Board was also elected. It is a young and a dynamic group. I look forward to working with them. My goals are to attend as many DSE races as possible, listen and act on your ideas for the Club, and keep the DSE races the most cost-effective in the Bay Area. A process action report was presented on the last General Membership meeting. Treasurer’s report showed a slight change in the bottom line. Membership status: very little change in membership numbers. Double Dipsea: we should have a ﬁnalized agreement with Brazen Racing in the early part of January. New race director policies were covered (see article on page 5 of the January Newsletter). Presentation on the communications link in place with Race Equipment Manager. Discussion on the recent Windmill 10K’s start and ﬁnish line procedures put in place as a result of George Baptista’s race safety policy, which he wrote in the early part of 2013. Election of the new ofﬁcers. Mark your calendars for February 2, when we need volunteers for the DSE water stop at the Kaiser Permanente Half Marathon. I know it is Super Bowl Sunday, but you will have plenty of time to see the game afterwards. Let’s Show the Pamakids how we support them. When we run in races where we share the road with cars, give them the right of way. They’re bigger then we are. So stay out of their way so you can run another day. Don’t forget to send your registration in for the Gala before January 12. I will be looking for you there.